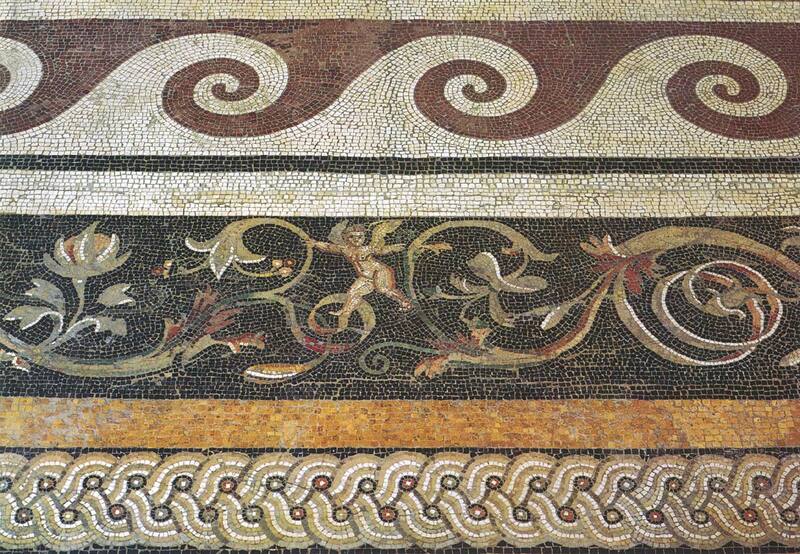 A part of mosaic floor of the palace of Attalus II. Total length of the frieze 130 cm, width 20 cm. From the Pergamon palace of Attalus II. Per. s nem. E. I. Larionovoi i E. I. Marchenko. M.: “Izobrazitel’noe iskusstvo”, 1983, kat. No. 71.